“Don’t knock it till you’ve tried it” – I had a gay hair dresser who said that me. He will always be remembered by me when I hear that line. Funny also that I was talking about this only yesterday. I think my life has been one big reaction to being brought up in Lincolnshire where anything new or pleasurable should be view with deep suspicion. The downside of breaking free is that I am now starting to get annoyed with how short life is. 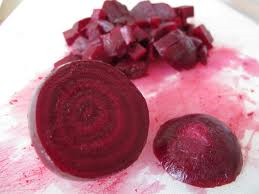 You’re dead right about beetroot. Although, a vegetarian friend of mine baked it with onions and cheese and my perception was altered.